We are all influenced by someone. They have the power to change us in how we view life, interact with people, and manage our career. 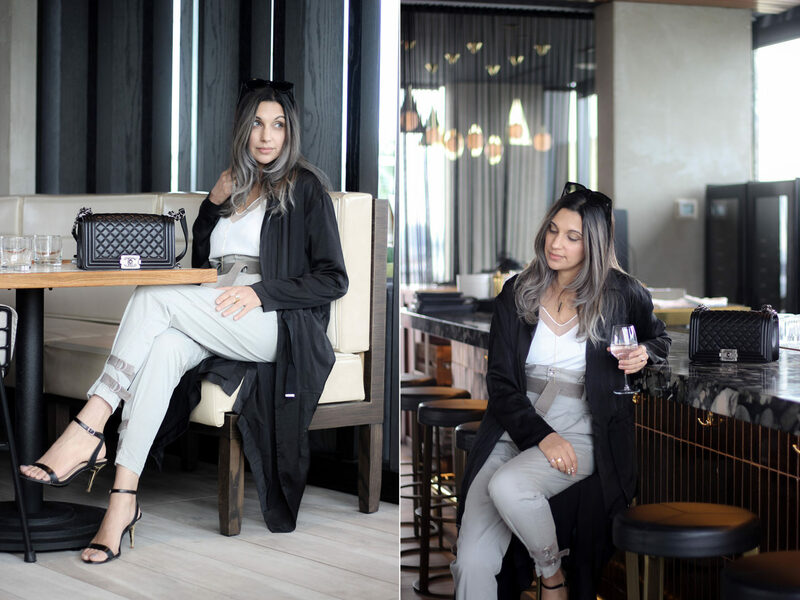 When it comes to style, who I am influenced by changes depending on the season and whose style speaks to me on a personal level. Lately I have been drawn to Olivia Palermo’s style. 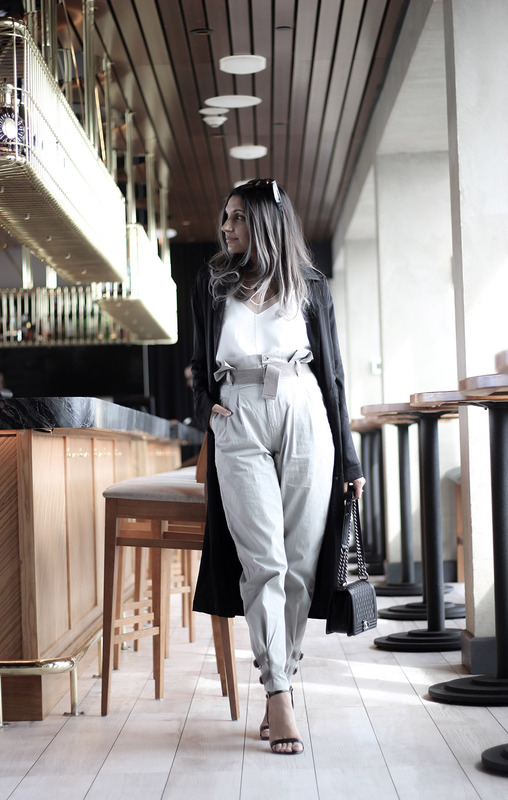 Her overall look is always crisp, chic and polished. Last week I went shopping with some friends at Guess and saw these gorgeous peg leg pants that screamed Olivia Palermo. They were chic, crisp, and sophisticated. 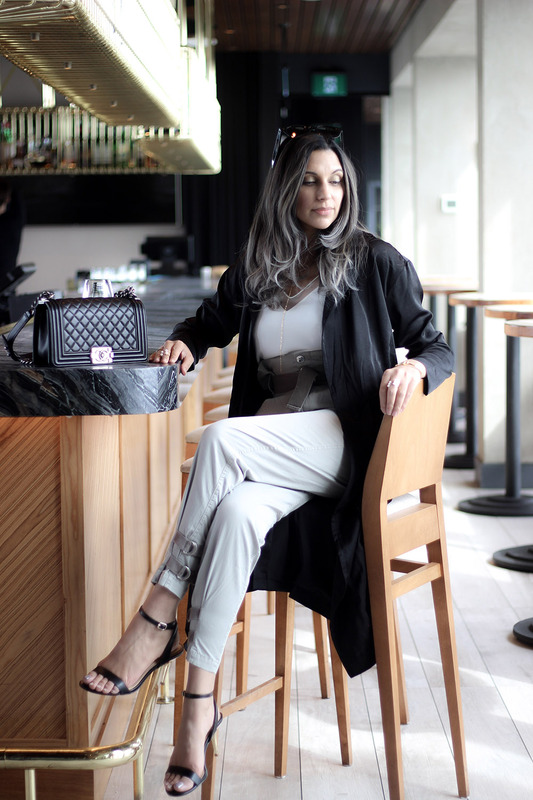 I was drawn to the buckled ankle straps and the paper bag like folds around the high waist line (perfect to camouflage my slowly shrinking waistline). I don’t know about you, but I struggle trying to find the right belt for my pants, so having these with a matching belt that can easily expand is huge win for me. Oh, did I mention that these pants come with insanely deep pockets? They’re also 100% cotton. 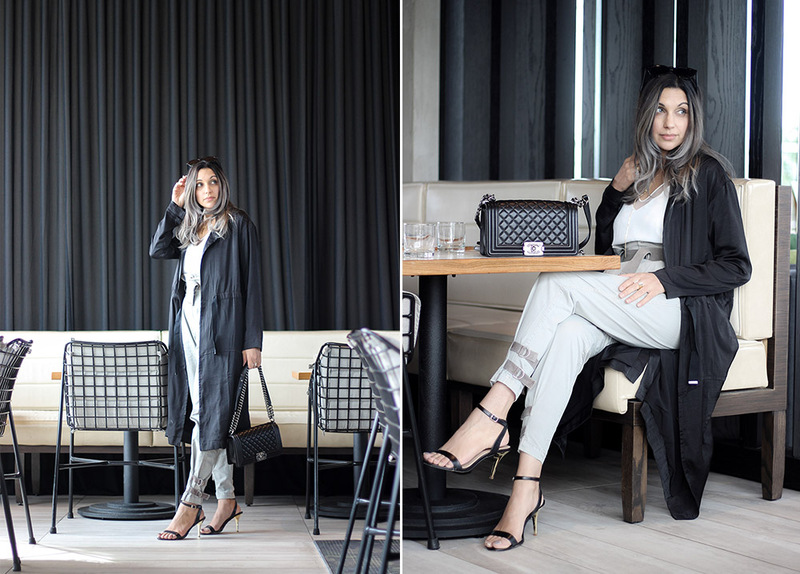 To help complete my Olivia Palermo look, I tucked away my wool coat and got this lightweight trench from…you guessed it, Guess! 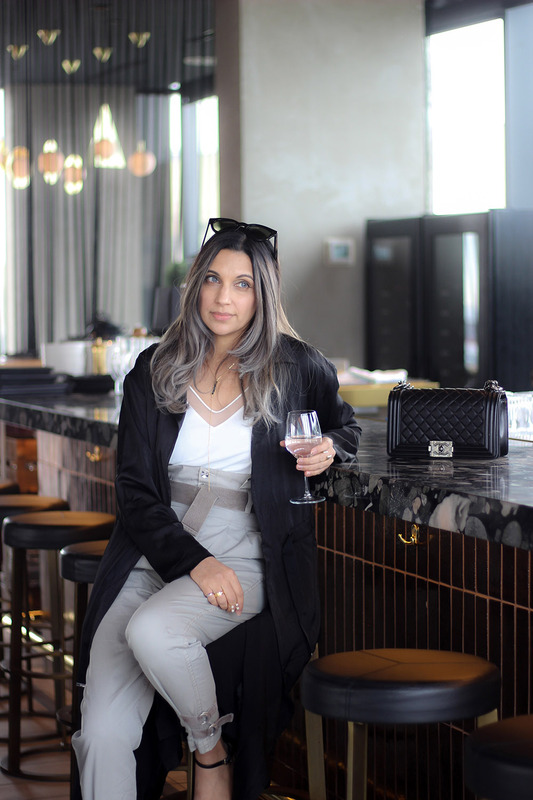 This trench is incredibly lightweight and I love the fact that I never have to worry about wrinkling it (seriously, I had this trench bunched up in a bag before I rolled it out and wore it for a brunch meet-up). The day before my blogger brunch, I went to visit my friend, Alex, at Deberadinis to help get my grey back on. A little bit of history about Alex, he is the first person that colored my hair when I moved from Seattle to Toronto. He is the one that originally did my balayage ombre in 2015 and kept my hair game in check since then. So it should come as no surprise that I went to visit him to see if he could revive my hair and get it back to my favorite color – grey. 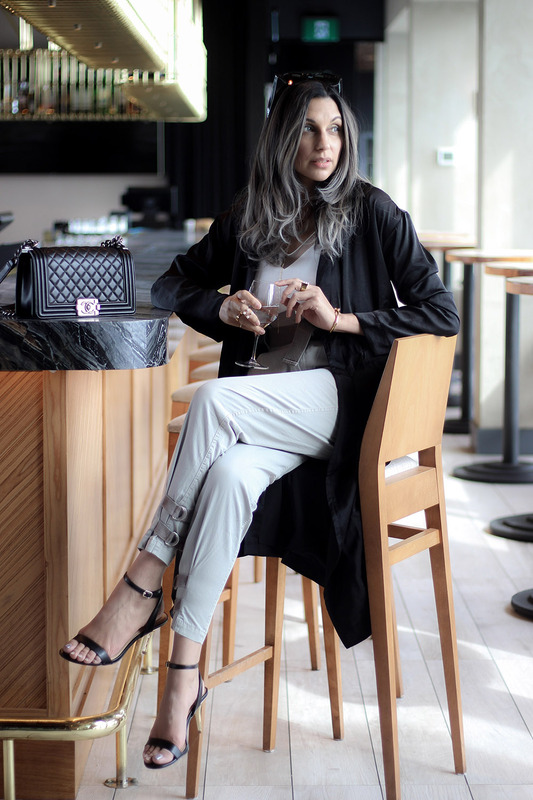 After three hours of bleaching, toning and adding gloss, he transformed my hair into this gorgeous shade of grey that has been going strong for the last two weeks…and counting. Didn’t he do an amazing job? You had me at Olivia Palermo- adore this look! Olivia has the best style! You look gorgeous! Love this outfit! Your hair is amazing!! !